, April 1, 2019 — FARGO, N.D. — Soon North Dakota farm fields will be covered by lush expanses of crops soaking up the spring sun. North Dakota has become one of the nation’s leading soybean producing states, so the sight of the bushy green plant is common across the landscape. Because of that familiarity, we sometimes overlook the important fact that soybeans really are food—food for people and for animals. Soybean acreage has expanded in North Dakota because as economies around the world improve, the first thing people want to do is eat better. Since soy is an important source of healthy nutrition, it is one of the world’s most widely sought and consumed foods and a valuable feed ingredient. Despite its widespread global consumption, there is still a lot of misinformation about soy and soyfoods. Those myths are especially prevalent in the United States where soyfoods aren’t as widely eaten as they are in other countries. Internet searches can turn up dozens of dubious “reports” questioning the healthiness of soy products or even contending soyfoods are bad for you. Linda Funk has heard them all. As executive director of The Soyfoods Council, she works to promote the facts and the health benefits of soyfoods. All of these health claims are supported by unbiased, peer-reviewed research. The Soy Nutrition Institute (SNI) was established to identify soy and health research priorities, and to provide evidence-based information on the impact of soybeans and soy components on human health. Any claims of health benefits have unbiased science behind them. “Any health claims we promote have been well researched, so the health benefit information is very strong,” Funk says. Despite the wealth of information supporting the health benefits of soyfoods, myths linger. Dr. Mark Messina is an internationally recognized expert in soyfoods and SNI executive director. He says several myths about soyfoods persist. 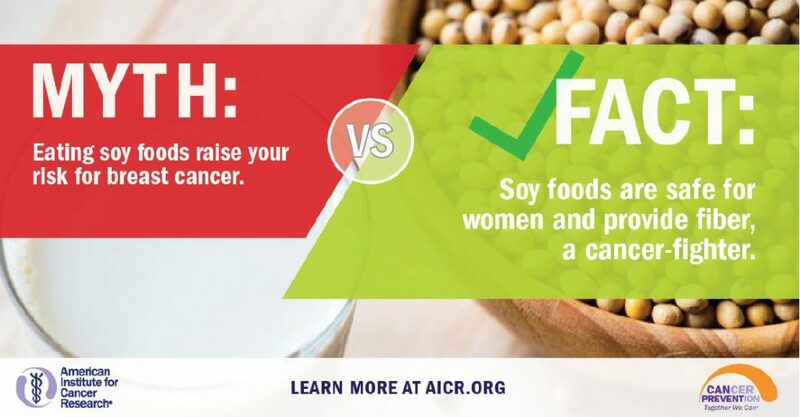 The first myth is that cancer survivors should avoid soyfoods such as tofu and soymilk. Another myth is that soyfoods contain estrogen and men who eat them may experience feminization or even impaired fertility. 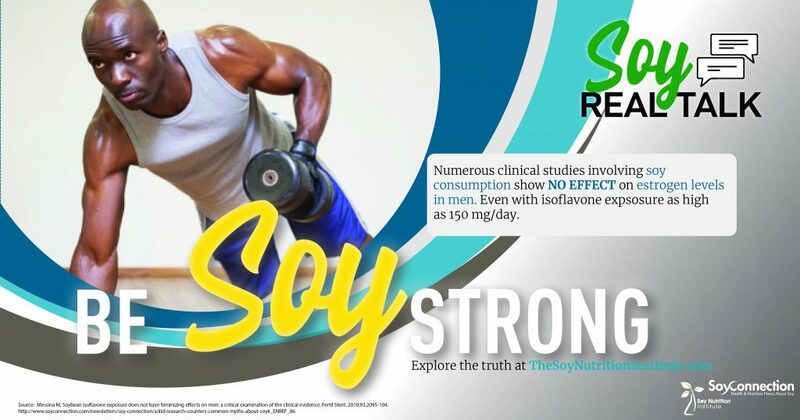 In reality, soyfoods do not contain estrogen. April is Soyfoods Month. It’s a perfect time to learn more about the benefits of soyfoods and consider ways to add soy to your diet. Soy ingredients are found in hundreds of everyday products on store shelves including protein bars, soybean oil and soy flour, so they are a great way to begin adding more soy to your diet. There is an ever-increasing array of new products that fit every lifestyle. Soy protein and soyfoods are very versatile and easy to incorporate into everyday meals. Soynuts, edamame and soymilk are great products to start enjoying immediately. And don’t worry, you can consume both meat and soy proteins to gain the health benefits of both foods. 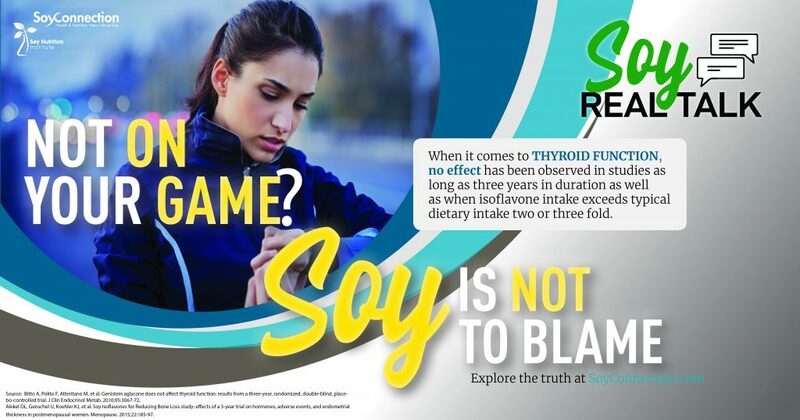 You can also find more information about the health benefits of soyfoods by visiting www.thesoynutritioninstitute.com or www.thesoyfoodscouncil.com. 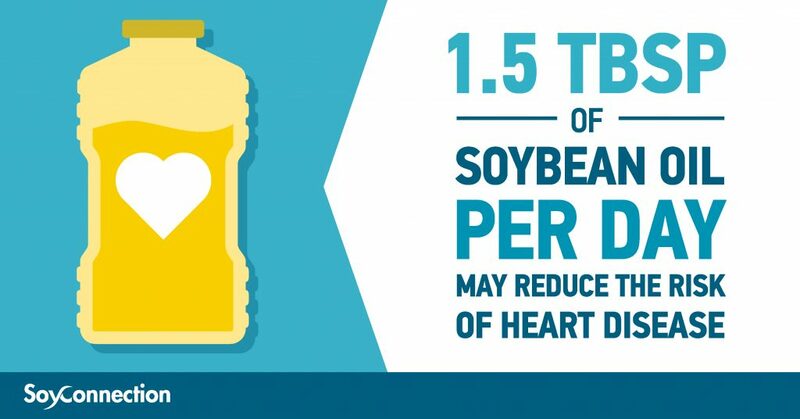 During April, the North Dakota Soybean Council will be sharing other valuable information about soyfoods, including how farmers grow soybean sustainability, and easy ways you can include more soy in your diet. Story by North Dakota Soybean Council. 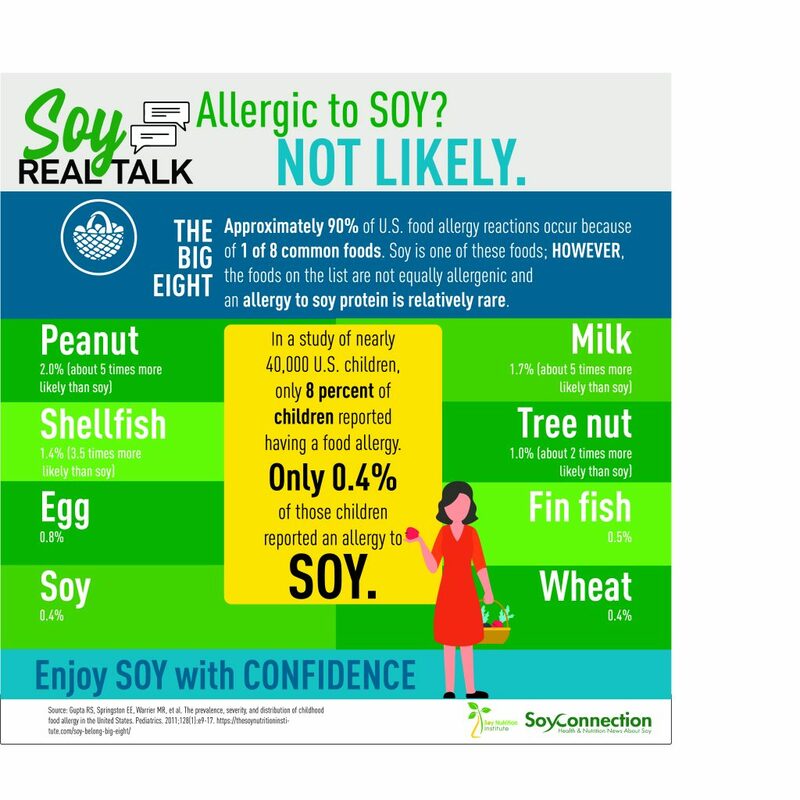 Infographics courtesy of the Soy Nutrition Institute and Soy Connection.